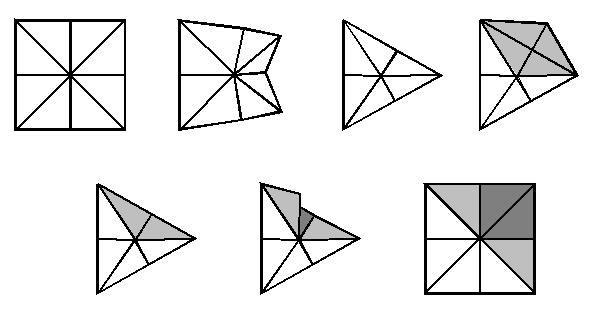 The following shows an example of how a flexagon can change as a result of the flip flex. 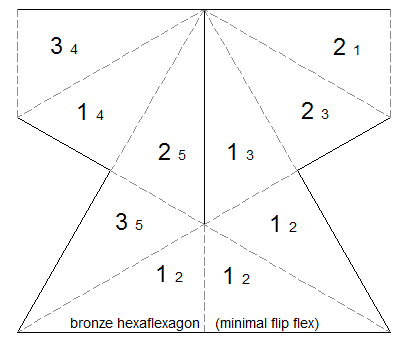 See the octaflexagon page for a video demonstrating this flex. The decaflexagon page has a video with a different example. 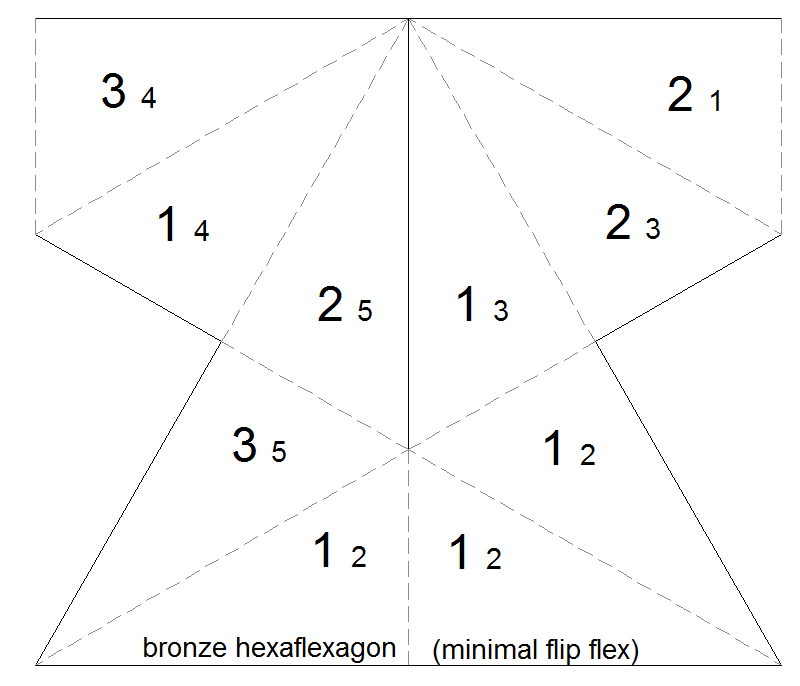 The following shows an example of performing this flex on a silver octaflexagon.